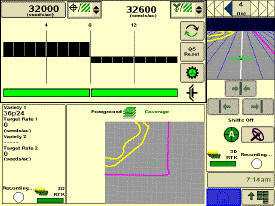 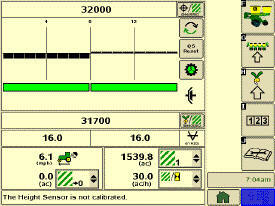 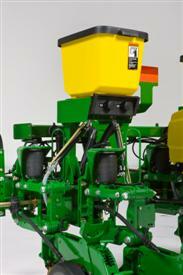 Pneumatic downforce provides convenient, simple adjustment of downforce for the whole planter from one location. 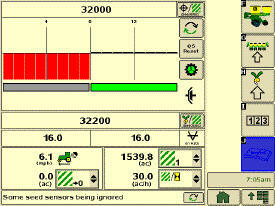 The amount of downforce applied is infinitely adjustable from 0 kg to 181.4 kg (0 lb to 400 lb). 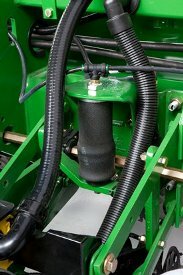 Pneumatic downforce provides more consistent downforce throughout the range of row-unit travel than mechanical-spring downforce systems. 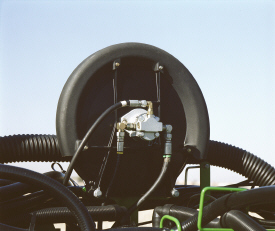 Each row-unit has a single rubber air bag located between the parallel arms. 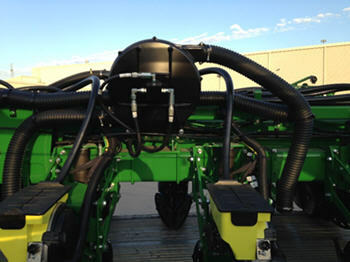 The air bags are hooked in parallel so that air can be added or released from all rows at once from one location. 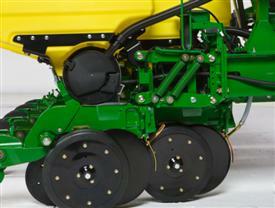 Pneumatic downforce systems are available as base equipment on all 1705 Series and DB Planters. 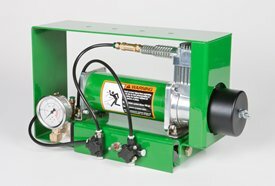 Pneumatic downforce with spring upforce kit option includes the same convenient, simple adjustment of downforce with up to 81.6 kg (180 lb) of upforce per row-unit. 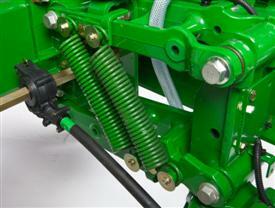 Dual upforce springs provide the row-unit upforce to increase flotation in softer soils. 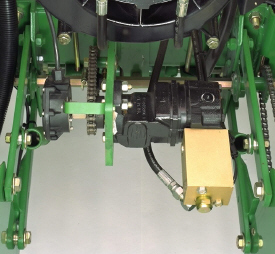 This upforce can also be used to counteract excess row-unit margin or extra weight cause by seed, tillage, or other attachments on the row-unit. 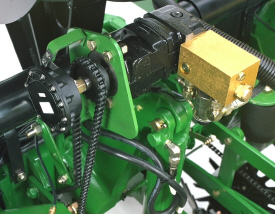 Upforce springs will limit the maximum amount of downforce that can be placed on a row-unit by the downforce system and should only be used in conditions were adequate and consistent depth control is easily maintained.